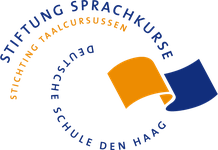 The Foundation Language Courses German School The Hague was established in 1996. It was founded as an initiative of the School Association of the German International School, its aim being to further the German-Dutch cultural exchange by offering German and Dutch language courses. Today, in addition to its regular courses at the German International School, the Foundation Language Courses also offers tailor-made company courses and private tuition. private tuition? Then please contact us by phone or email.